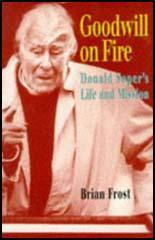 Donald Soper, the son of a marine claims adjuster and a schoolmistress, was born in Streatham on 31st January, 1903. His father, a devout Methodist, was a Liberal and an active member of the Temperance Society. Donald's mother also held radical political ideas and was a supporter of the Women's Social & Political Union. Donald was brought up in a home that strongly disapproved of alcohol, gambling and blood sports and he was to share these views all his life. Educated at Haberdashers' Aske's School, Soper was a talented sportsman and was captain of the football, cricket and boxing teams. He was an exceptionally good fast-bowler but his desire to become a professional cricketer came to an end when during a school match one of his deliveries hit the batsman above the heart and killed him. Soper studied history at Catherine's College, Cambridge, and took his doctorate at the London School of Economics. After a period as a Methodist preacher in Derby, Soper became a probationer minister in the South London Mission. As the congregation was small, he began preaching in the open air. In 1926 he started regular soap-box sessions on Sunday at Hyde Park Corner and at Tower Hill on a Wednesday. Soper drew large crowds and soon became one of the best-known churchmen in Britain. The poverty that Soper witnessed in Derby and London converted him to socialism. He joined the Labour Party and the expression of his political beliefs became an important aspect of his preaching. Soper, a fine orator, practised what he called the "fellowship of controversy" and fiercely attacked capitalism and the arms trade. Other issues that concerned Donald Soper included blood sports, child labour and inadequate state help for the poor. Soper was fond of quoting G. K. Chesterton's words in his speeches: "Christianity has not been tried and found wanting: its been thought too hard and never tried." In 1929 Soper moved to Islington and remained there until he became superintendent of the West London Mission at Kingway Hall. Appointed in 1936, for the next forty-two years he developed homes and hostels in London for the homeless, unmarried mothers and alcoholics. Until the early 1960s over 400 people would hear him preach on Sunday morning at Kingway Hall and attendance at evening meetings sometimes reached a 1,000. Soper became a pacifist in his youth and in 1937 joined the Peace Pledge Union. Soper and fellow members such as Bertrand Russell, Vera Brittain, George Lansbury, Aldous Huxley and Siegfried Sassoon argued the case for pacifism right up to and during the Second World War. Soper was considered to be such a persuasive preacher that during the war he was banned from appearing on the BBC. He remained active in politics throughout his life and for over twenty years wrote a regular column for the socialist weekly, Tribune. In the 1950s Soper became associated with Aneurin Bevan and the left-wing of the party, however, eventually he became seen as the chaplain of the whole movement. Soper was a member of the Labour group on the London County Council. However, he abolition of the council in 1963 brought his local government career to an end. In 1965 Soper accepted a life peerage and although he was opposed to the existence of this undemocratic institution, he was willing to use it as a forum for expressing his religious and political views. Baron Soper, the first Methodist minister to become a member of the House of Lords, once remarked that the institution was "proof of the reality of life after death". When Soper retired at 75 in 1978 it was decided to close the West London Mission at Kingway Hall. Soper remained an active preacher and in the 1980s Soper upset many Conservatives when he argued that Thatcherism was incompatible with Christianity. He also created controversy by criticizing the Royal Family for their involvement in horse racing. 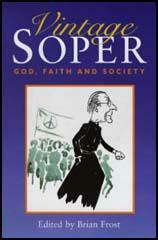 Soper wrote many books on Christianity, social questions, pacifism and international issues. This included Christianity and its Critics (1937), All His Grace (1957) and Calling for Action (1984). Although crippled by arthritis and confined to a wheelchair, Soper continued to preach at Hyde Park Corner until well into his nineties. Unfortunately, Soper spent his last few months under a Labour Government that appeared to reject everything that he had spent a life-time fighting for. Donald Soper died on 22nd December 1998.